Temperatures are cooling off here in Orland Park. If you’ve had problems with your system this past winter or throughout fall then now is the time to repair your furnace system. Furnaces are put to good use here in Illinois so it’s best to schedule repairs sooner than later to maintain a healthy system. We understand this is a big investment, so we provide service at the best prices, quality financing, and the best services to care for your system. 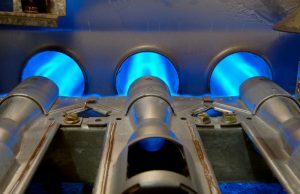 If you need furnace repair in Orland Park, IL, then our team is the right crew for the job. Is Winter Making Your Water Heater Work Harder? Many homeowners encounter troubles with their water heaters during winter. If you notice that you wait longer for warm water to run from your faucets in winter, you’re probably suffering from the effects of our cold fall weather here in Joliet. Just like it’s hard to get ice cold water in the summer, it’s hard to get warm water in winter. Keep reading below to find out what you can do about lowered water heater efficacy during winter. If you follow all of these tips and still find that your water isn’t as hot as you want it to be, it might be time to upgrade your system. If you need great water heater installation in Joliet, IL then contact our expert team today. Posted in Water Heaters | Comments Off on Is Winter Making Your Water Heater Work Harder?